After leaving Mindful Farm on the second day of 2015, we once again hopped on to our neglected motorcycle and went on the road. After taking a few wrong turns, getting lost, and asking around, we finally got to our next destination – Maejo Baandin. 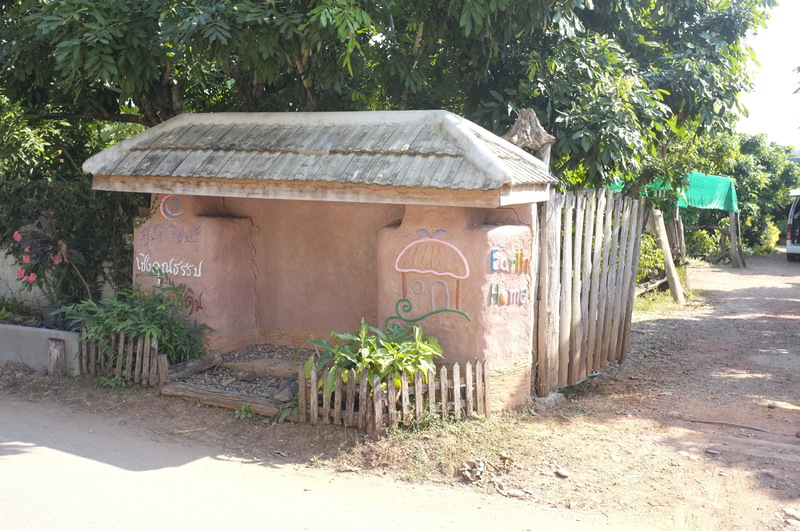 Maejo is the name of the village, “baan” means home in Thai, and “din” is earth. Not surprisingly, we were greeted by many beautiful mud structures in the premise. Found the entrance at last!